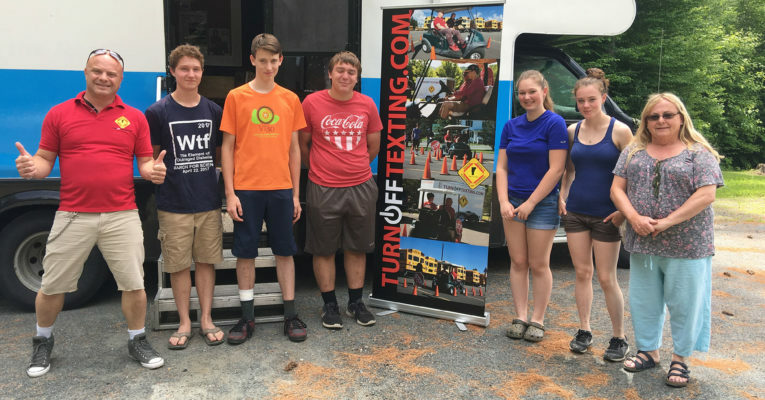 Find Turn Off Texting and its mobile driving simulator at the 2018 Rutland Car Show and Auto Flea Market (previously known as the RAVE Car Show)! 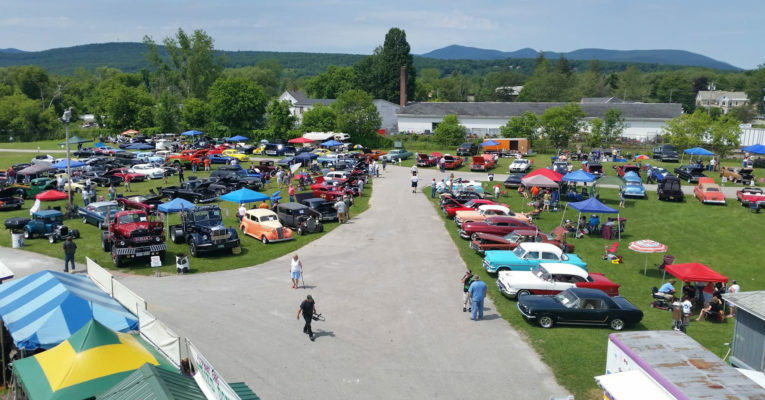 The Car Show is Saturday and Sunday, July 14 and 15 and Turn Off Texting will be there SUNDAY, JULY 15, at the Vermont State Fairgrounds in Rutland, VT, with our friends from the Vermont Highway Safety Alliance. We’ll be in the middle of a wild collection of old cars, vendors, food purveyors, and lots of flea market activity. Trophies are given away each day, and the big ceremony is on Sunday. This year the Car Show is featuring Chevrolet Trucks; this is the 100th Anniversary of the first Chevy Truck to roll off of the assembly line. Hope we see you out there! Turn Off Texting at Sharon Academy! 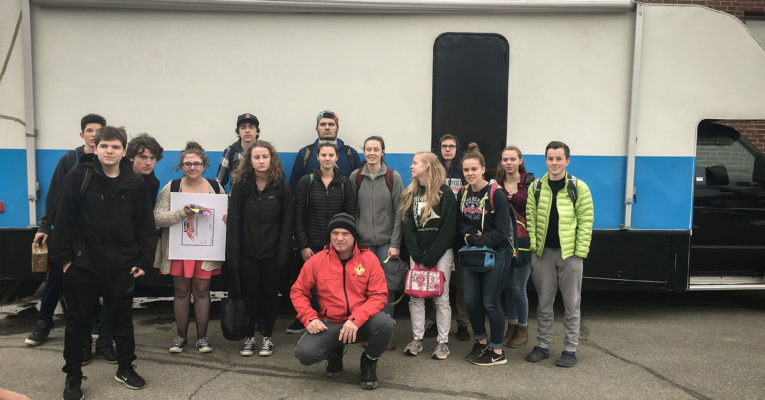 Some of the Sharon Academy students who experienced Turn Off Texting with YSCVT presenter Paul Burroughs and Driver Educator Gabriella Netsch of Yankee Driving School! Sending thanks out to Heather Cotto and the GlobalFoundries safety team (Sam, Evan, Javier, Nate, Chris and volunteers!) for inviting Turn Off Texting to their Safety Day today! 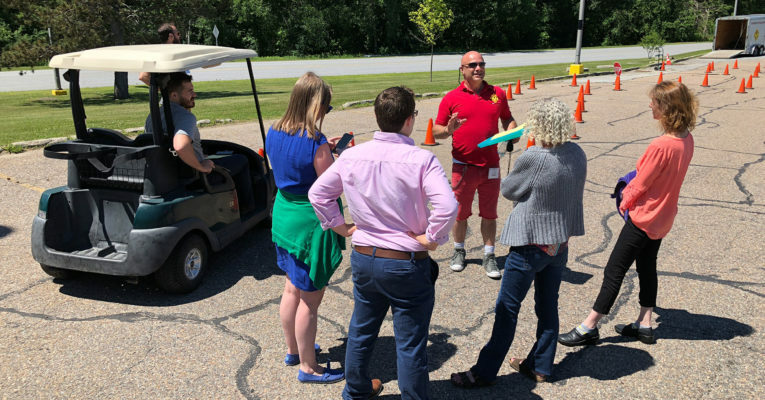 It was beautiful on the GlobalFoundries campus in Essex, and the warm welcome by everyone who participated made it special for us. The VHSA PSA Video Contest Winners! Here are the winning videos from the Vermont Highway Safety Alliance PSA Contest #802phonesdown!headsup! 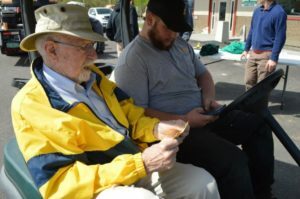 Turn Off Texting at the AGC Construction Career Day! 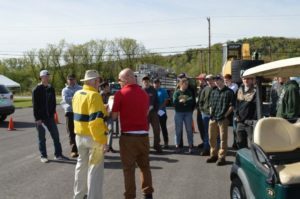 The Youth Safety Council was invited to share our Turn Off Texting presentation at the Associated General Contractors of Vermont 2018 Construction Career Day on May 16. 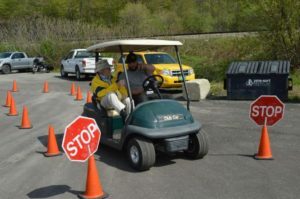 We fit in among dozens of other demonstrations and workshops, and students got to try the golf cart and driving simulator versions of Turn Off Texting. Thank you, AGC for including us! Construction Career Day from above! 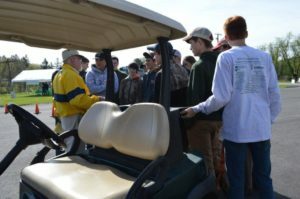 Students at the TOT golf cart. Norm James, Paul Burroughs, and students. 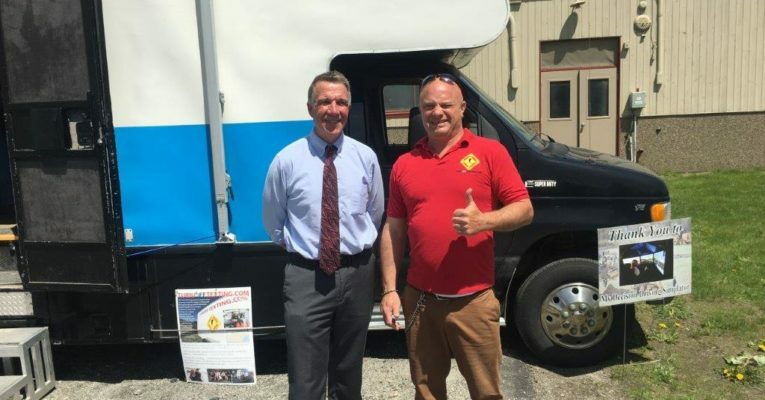 Governor Phil Scott and TOT Presenter Paul Burroughs. Governor Scott drives the Turn Off Texting mobile driving simulator! Governor Scott with students in front of the TOT mobile driving simulator. Governor Scott at the TOT mobile driving simulator. 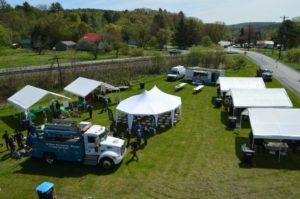 The YSCVT sends special thanks out to our program supporters and sponsors for making this statewide safety experience available to Vermont’s youngest drivers! 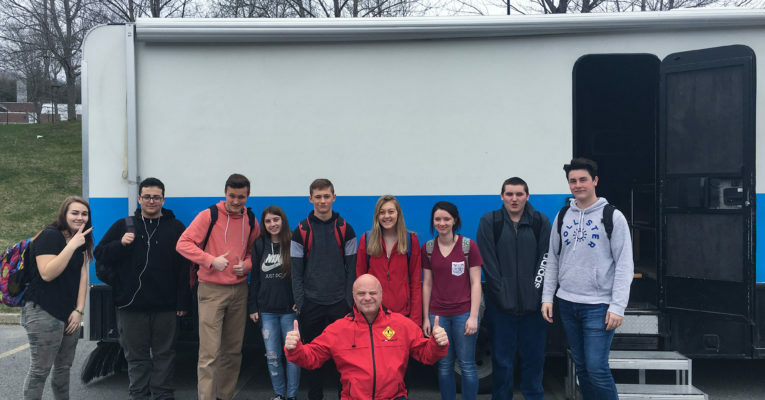 Here’s a photo of Youth Safety Council Presenter Paul Burroughs (red jack, in front) with Springfield High School students and the Turn Off Texting mobile driving simulator. 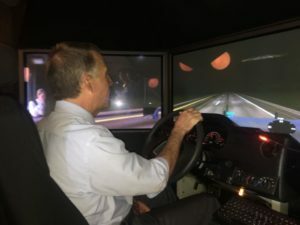 Young Southern Vermont drivers are learning how important it is to stay focused behind the wheel! 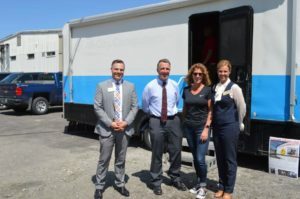 The Turn Off Texting Driving Simulator in Rutland! 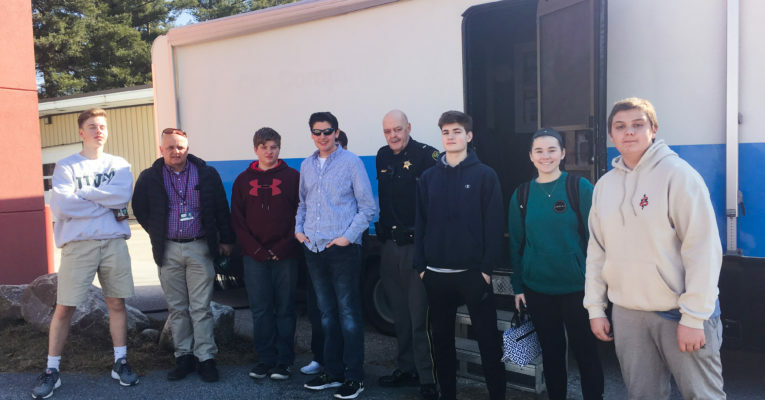 The Turn Off Texting mobile driving simulator visited Rutland where students and YSCVT Presenter Paul Burroughs got to hang out with our friend and regional safety advocate Lt. Kevin Geno, fourth from the right in the photo. 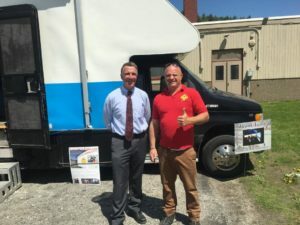 On behalf of the Governor’s Highway Safety Program (GHSP) in the Office of Highway Safety at the Vermont Agency of Transportation, we are pleased to release this ‘Hopes and Dreams’ School Bus Safety Public Service Announcement. We would like to thank the marketing firm HMC for the production of this public service announcement. We would also like to thank the student actors and their parents from Barre, Northfield, Johnson and Stowe. In addition, we would like to acknowledge the Colchester Police Department/Chittenden SHARP for traffic control and support during filming and the school bus company Mountain Transit for donating the bus for filming. The GHSP is federally funded by the National Highway Traffic Safety Administration.